I was in the restaurant and needing to use the toilet. 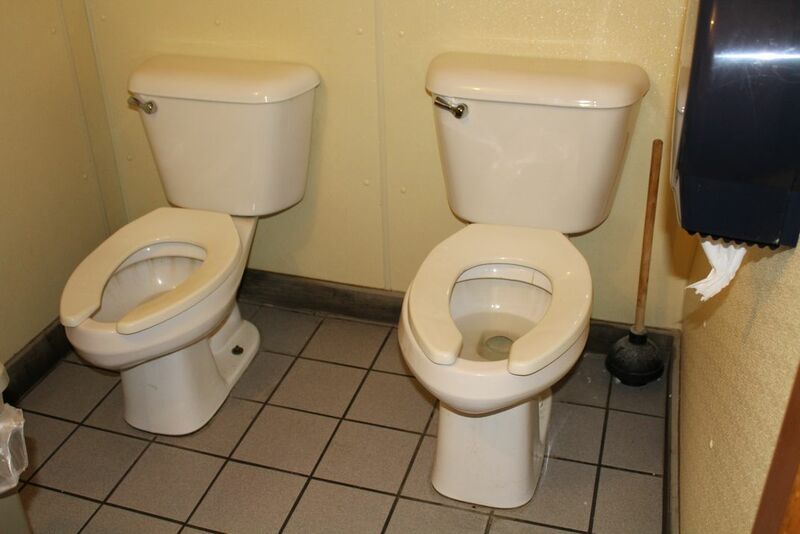 I was taken back when I opened the door and found side by side toilets. Community sharing of facility!